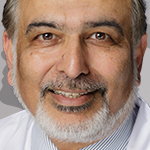 Rajiv Tandon, MD, is a professor of psychiatry at the University of Florida College of Medicine in Gainesville. He is the immediate past-president of the Florida chapter of the National Alliance for Mental Illness, immediate past-president of the Florida Psychiatric Society, and was a member of the DSM-5 workgroup on schizophrenia and related psychotic disorders. Dr Tandon’s areas of clinical and research interest are the neuropharmacology of schizophrenia, differences between typical and atypical antipsychotic agents, dimensions of schizophrenic psychopathology, neuroendocrine and polysomnographic abnormalities in schizophrenia, and the evidence-based treatment of schizophrenia and other major mental disorders. He is a member of the World Psychiatry Association Pharmacopsychiatry Section. Matcheri S. Keshavan, MD, is Stanley Cobb Professor of Psychiatry at Harvard Medical School, vice-chair of public psychiatry at Beth Israel Deaconess Medical Center, and a senior psychiatric advisor for the Massachusetts Mental Health Center in Boston. Dr Keshavan’s research focuses on the neurobiology of psychosis, especially as it pertains to first episode psychotic disorders. He is editor-in-chief of Schizophrenia Research, and serves on the editorial board for Acta Neuropsychiatrica, Bipolar Disorders, and Asian Journal of Psychiatry. 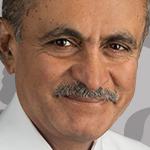 Dr Keshavan has more than 550 publications to date, including over 500 peer-reviewed papers and 4 books. He received his medical training in Mysore, India, and his psychiatric training in Bangalore, India, as well as Vienna, London, and Detroit, Michigan. Thursday, March 21, 2019 from 12:00pm – 1:00pm EDT. The enduring material will be available from March 21, 2019 to March 21, 2020. This activity is intended for psychiatrists, psychologists, family physicians, internal medicine physicians, advanced practice providers, nurses, pharmacists, and other HCPs involved in the care of patients with schizophrenia. There are no fees to participate in this activity. To receive credit, participants must (1) read the target audience, learning objectives, and disclosure statements, (2) complete the educational activity online, and (3) complete the post-test and activity evaluation. To receive AMA PRA Category 1 Credits™, participants must receive a minimum score of 70% on the post-test.